"You are crazy. No Nephite has ever returned." Most people laugh when they hear of Enoch's dream of returning to Jerusalem to find the infant Messiah. Even Enoch's future father-in-law mocks him when he asks for a postponement of his long-awaited wedding to his beloved Rebekah. A few take Enoch seriously - the shipbuilder Omnihah, Enoch's teacher David, and the prophet Nephi. Five years before, a Lamanite named Samuel had stood on the wall of Zarahemla and prophesied that "five years more cometh" and the Christ would be born in Jerusalem. Time is running out! Enoch knows he must set sail across the great waters in search of his dream - to see the face of the Messiah. The Star Prophacy is a surprising story of courage and love, faith and foritude. Sail with Enoch and his friends across the sea through hardship and adventure in search of the Christ child. Omnihah kept his head down as he worked at smoothing the long, rough plank, and he hardly lifted his eyes toward the teenager. Enoch waited nervously, thankful that the shipbuilder was too busy to notice his face flushing hot in spite of the cool breeze blowing in from the ocean only yards away. Though the old man’s voice was calm and low, Enoch’s courage waned. What hope did he have of convincing this stranger to aid him? Everyone else he had trusted had dismissed him as crazy. He briefly prayed for understanding from this man who, as a boy, had been an apprentice to a shipbuilder named Hagoth. “Out of the way!” ordered the soldier pushing his way through Zarahemla’s crowded marketplace. Enoch stepped behind his vendor table in time to see an odd-looking Lamanite stumble. The soldier jerked the unfortunate man to his feet and continued to push him along. Enoch felt compelled to follow. “Mind the shop, Zenos.” He handed a miniature sailing vessel of his own handiwork to his seven-year-old brother. Zenos nodded eagerly, and Enoch could tell he was proud to be left in charge of the many woodcarvings on display. Enoch fell into step with the excited crowd. What had this man done to deserve such rough handling? Just being a Lamanite wouldn’t merit such treatment. Enoch spun toward the familiar voice and saw his friend Kumeni standing at the wayside. “What is the Lamanite’s crime?” Enoch asked, leaving the procession. “Most likely to honor him with a noose.” Kumeni lifted the bundle onto his shoulder again. Enoch took off in a run, hoping his rotting sandals would hold. How he wished he had returned sooner from the western seashore to hear the man’s preaching. But now the Lamanite was gone. Would the guards kill him? Enoch ran faster. Snap! A sandal broke and whipped violently at his ankle with each step of his sprint. He reached the city gate just as a soldier slammed it shut. “No passage!” barked the muscular man, lifting his sword. “I only want to speak to the Lamanite.” Enoch didn’t dare take another step, but there was no time to waste. The Lamanite soon would be gone. The man waved his hand in Enoch’s face. “Be on your way!” Enoch took a step back toward the city, but waited as the soldier lowered a heavy iron bar across the gate. Then the man stomped away, his sword clanging against his breastplate. Enoch crept closer to the gate. Through the crack between the doors he saw the Lamanite struggle painfully to his feet. He watched as the Lamanite managed to straighten himself and toss his black hair from over his eyes. When the man raised his face to see from where the voice had come, the pain in his dark eyes pierced Enoch’s heart. Before the preacher could reply, another guard outside the gate hollered, “Be on your way! And don’t come back to Zarahemla!” Enoch watched the outcast gather his scattered belongings and limp down the road. Soon he disappeared into the jungle growth. It was late afternoon and people filled the marketplace. Vendors offered food of all varieties, and rows of tables displayed pottery, rugs, clothing, and an assortment of jewelry and other wares. Each vendor was anxious to make a few more transactions before closing time. Despite the bustle all around, a lone figure on the city wall caught Enoch’s eye. He watched the form and realized almost at once that it was the exiled Lamanite. His heart beat in alarm. Enoch didn’t answer as he headed toward the wall. He saw the stranger stretch forth his hand and start shouting something about God’s sword of justice. The call had come from within the crowd. A hush came over the crowd as shoppers and vendors turned to see what was happening. The man on the wall continued preaching in a loud voice. “Kill him! Kill him!” called angry voices from the crowd. Several men shot arrows and stones, aiming at the Lamanite, but none hit him. A man close to Enoch readied his bow. As he shot, Enoch grabbed his arm, causing the arrow to go askew. Enoch felt an acute pain in his shoulder as he hit the ground. “What are you doing?” the man standing over him sneered before turning and disappearing into the crowd. “Listen to me!” the Lamanite shouted above the din. “The Son of God will come within five years to redeem those who believe in Him. And these are the signs of His coming. There will be such lights in heaven that there will be no darkness the night before He cometh, causing two days to be as one. 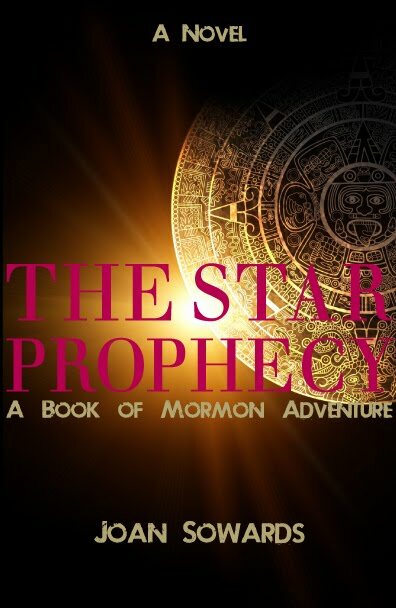 There will be a new star, and many signs and wonders in the heavens.” Suddenly, the Lamanite dropped behind the wall, and the soldiers ran through the city gate after him. Enoch spun to reply, but he lacked the courage to speak. Images of being run out of the city rushed through his mind. He sank back into the shadows under the trees, and the men passed without noticing him. A cloud of shame overcame Enoch. Oh, how he wished he had courage to speak. How he wanted to see the Messiah face to face! How he longed to sail across the great waters to Jerusalem to find Him. Five years seemed like forever. But he would have to wait. Sunlight beckoned Enoch from the shadows. As he felt the warmth of the sun on his face, his shame left and a new resolve filled him. He would make his journey, he would find the Christ, and then never again would he shrink from testifying of the Messiah.